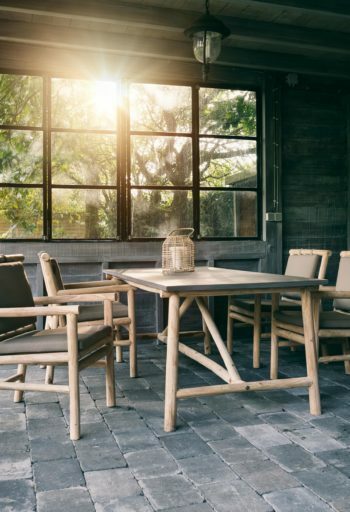 A unique dining set. 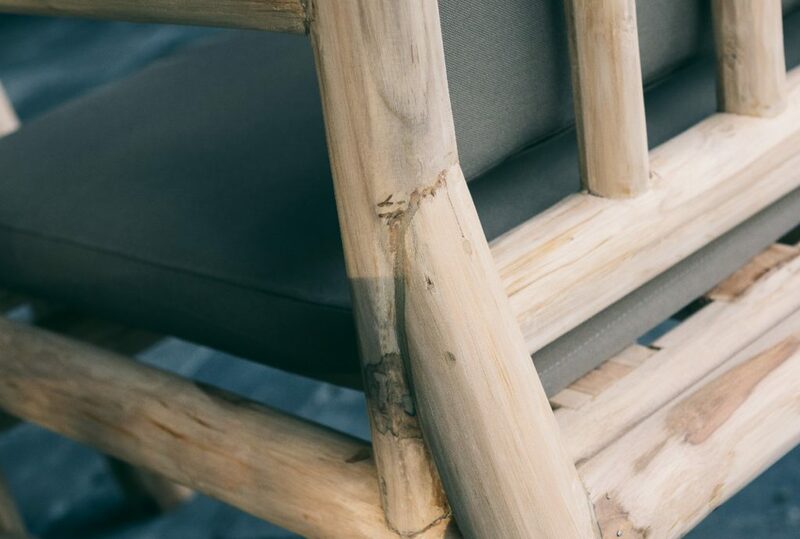 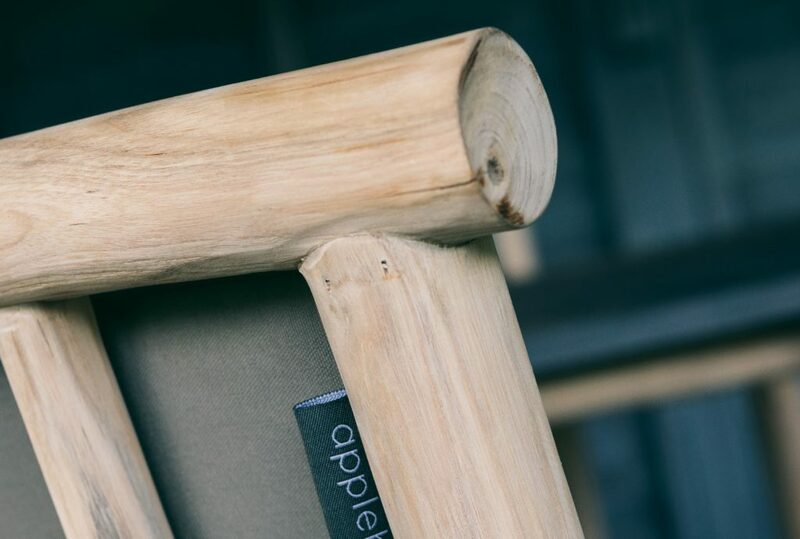 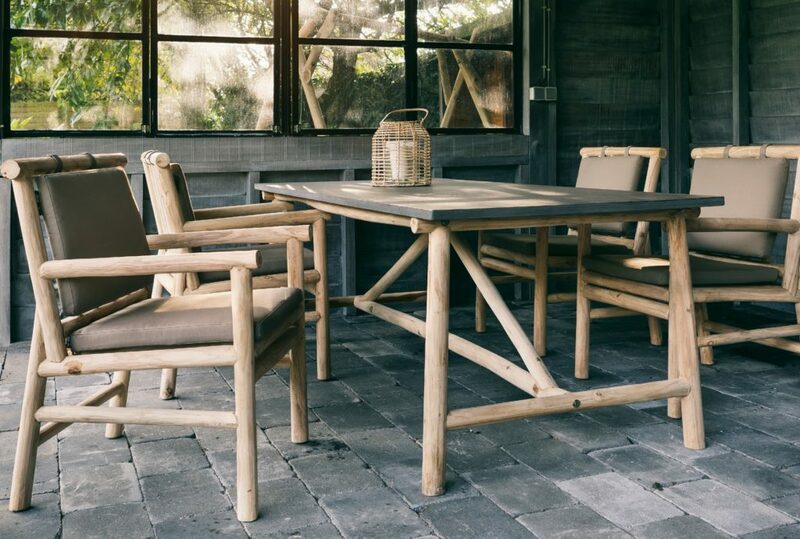 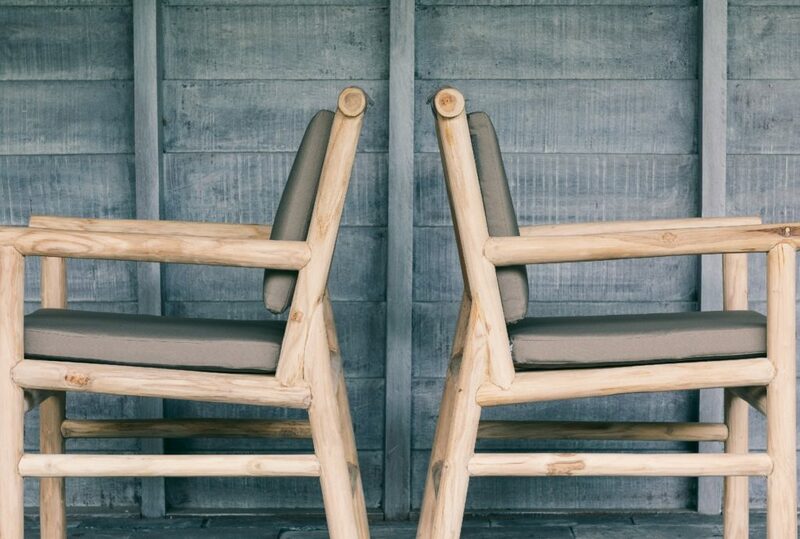 The frame of the chair and table is made of raw teak tree trunks. 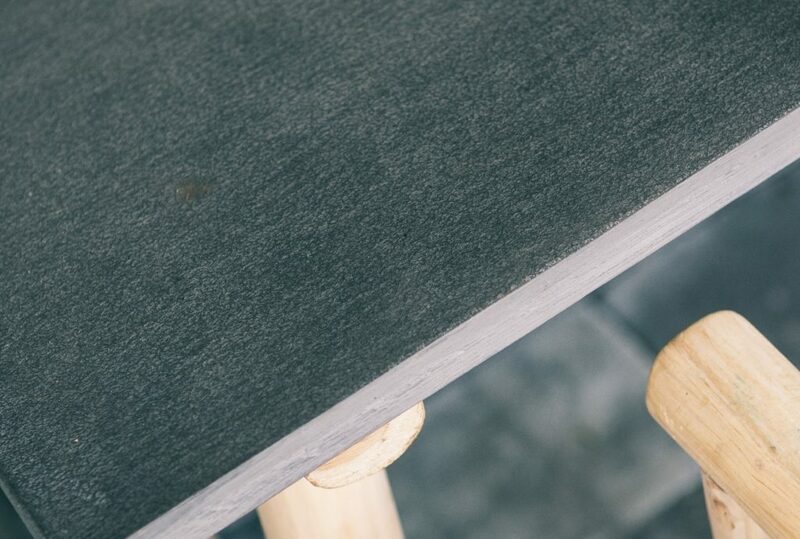 The table top is made of Light weight concrete. 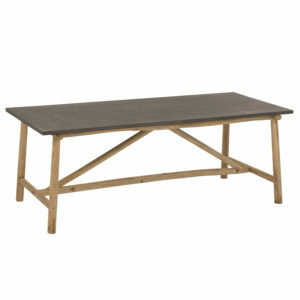 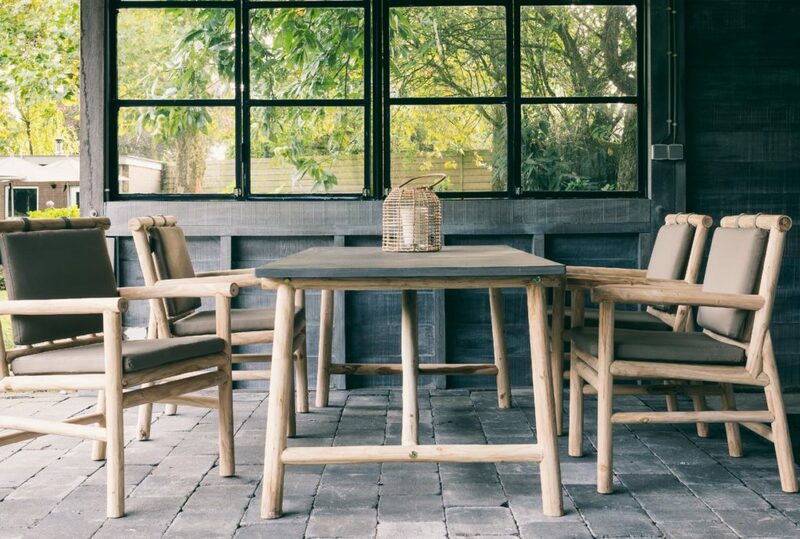 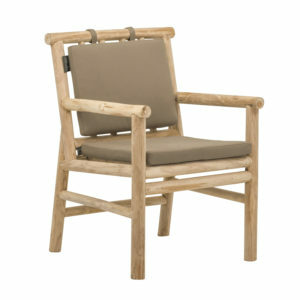 The taupe coloured-cushions matches friendly with the SVLK root natural teak. 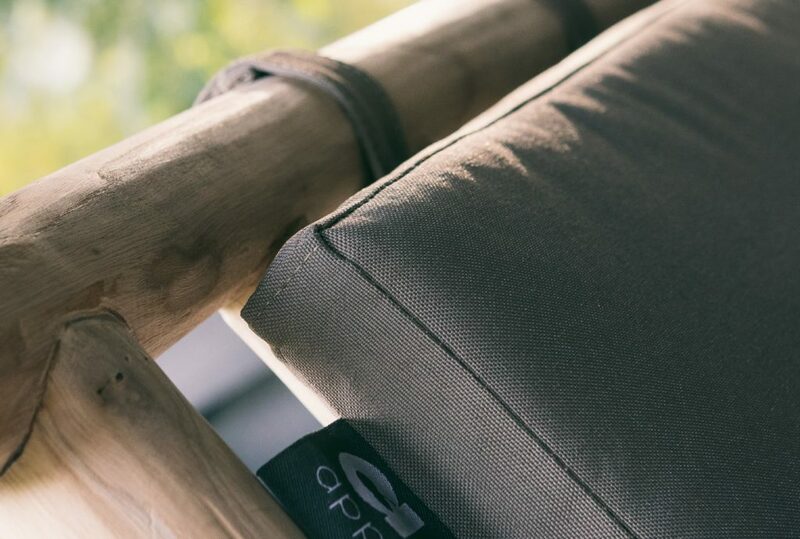 A matching backcushion ensures good seating comfort.